We want to use an =IF function to calculate the parking charge. 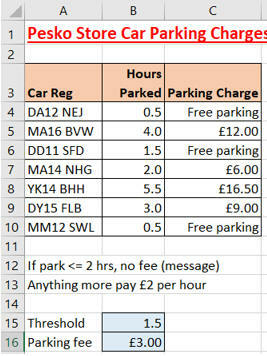 Don't forget to create range names for the parking fee and the the threshold, and to use these in your =IF formula. When you change the input cells the parking fees should change.